It appears that Robert Griffin III is looking for fresh starts in both his professional and personal life. The new Cleveland Browns quarterback has separated from his wife and is in the process of filing for a divorce. The two were introduced by a mutual friend at Baylor in 2009 and Griffin proposed in October of 2010 in the school’s fieldhouse, following the Bears’ 47-42 victory over Kansas State. Griffin married his college sweetheart Rebecca Liddicoat on July 6, 2013, and had a daughter, Reese Ann Griffin, in May of 2015. According to Cleveland.com, Griffin has reportedly told his teammates and coaches that the marriage has hit a wall and both parties are going their separate ways. 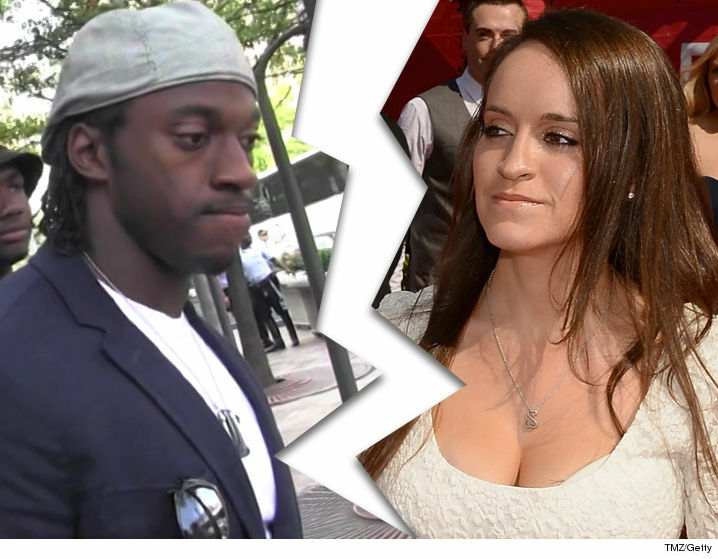 RG3 has already scrubbed his Instagram page of all traces of Rebecca. He is said to be having a tough time with the situation, but he’s working through it with the support of family and friends.